Cortana will come to the UK "soon"
Windows Phone 8.1 has a ton of updates in it, but the one feature that has gotten the most attention (and for good reason) has been Cortana, Microsoft's personal assistant, voice command, and search system. Cortana is quite impressive, but it has the annoying limitation that means it is only available for those in the US who speak English. 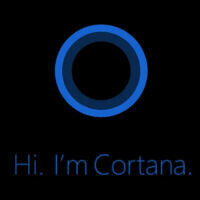 But, it looks like Microsoft will at least be expanding Cortana to English speakers in the UK in the near future. The official Windows Phone UK Twitter account sent out a message today with an image of Cortana on a Nokia device with just one word: "soon". Unfortunately, there is still no word on when Cortana will be making its way to non-English languages. There is also no word on when we'll be seeing the Windows Phone 8.1 update roll out to more devices. Right now, the update is only officially available on the Nokia Lumia 630, but of course quite a lot of people have signed up as developers in order to test out the update beta. It should be coming to wider release in the next few months though. Cortana for FTW. I use her to remind me of daily tasks and events these days it seems.